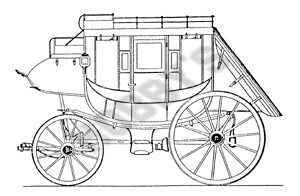 I have had many requests for the Wells Fargo coach of the Wild West. These plans include comprehensive instructions with many diagrams and photograghs. The leather boots, suspension on thoroughbraces and seats for 14 passengers both inside and out made a fascinating vehicle. The plan is imported from the U.S.A.